Hyundai has unveiled third generation Hyundai i30 with new range of engines. Third generation Hyundai i30 five-door hatchback has been redeveloped with a new range of engines that will also include turbocharged petrol engines. It has now been spied on India while on test. 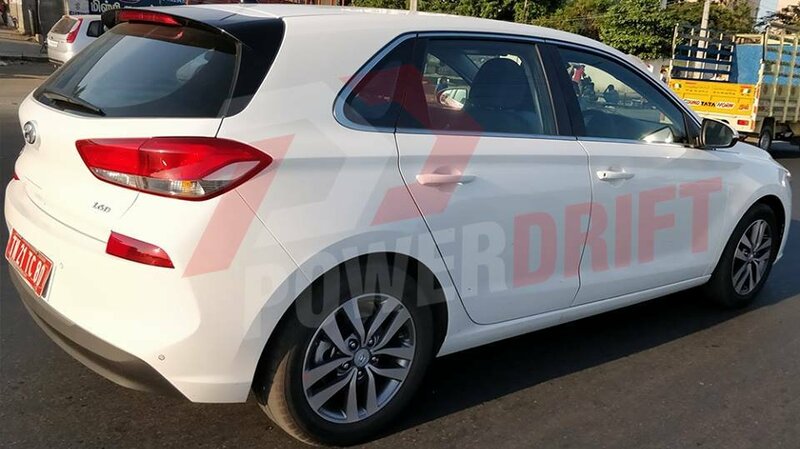 Developed and designed at company’s facilities in Europe, new Hyundai i30 is 40mm longer, 15mm wider and 15mm shorter than its earlier counterpart while there is no change in wheelbase which stands at 2,650mm. Boot space have been enhanced to 395 liters which can be increased to 1,301 liters when rear seats are folded down. Set to compete with VW Golf, Ford Focus, Renault Megane and Opel Astra, Hyundai i30 comes in with a long list of technology and safety features. These include an 8” touchscreen with media, navigation and connectivity features besides Apple CarPlay and Android Auto. 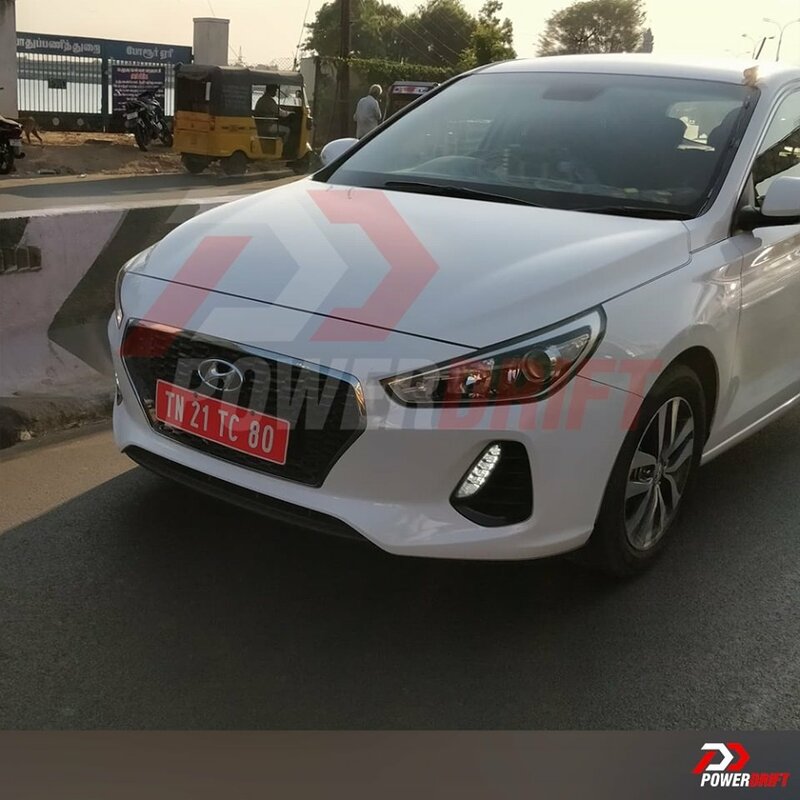 The new i30 is also seen with a 5” capacitive LCD touchscreen, integrated rear view camera and audio system along with Bluetooth, My Music and 7 year free subscription to TomTom Live services. The most outstanding list of safety features include Autonomous Emergency Braking, Front Collision Warning, Smart Cruise Control, Blind Spot Detection, Rear Cross Traffic Alert, Lane Keeping Assist, Speed Limit Information Function and High Beam Assist. Driver Attention Alert aids in the detection of tired or reckless drivers while the system takes into consideration steering angle, torque, lane position and driving time. In the event of inattentive driving being detected, the system sends sound or message through the instrument display. Third generation Hyundai i30 is powered by three petrol and three diesel engine options. Entry-level petrol variant is via 1.4L MPI generating 100 PS, then is 1.0L 3 cyl generating 120 PS, while top of the line 1.4L petrol generates 140 PS. Diesel engine is in the form of 1.6L DOHC in 3 tunes, 95 PS (94 HP) & 280 Nm; 110 PS (108 HP) & 280 Nm, 136 PS (134 HP) & 300 Nm. Transmission options on offer are 6 speed MT and 7 speed DCT.